sometimes in metal with rust. but I’m happier with what I got. were way out of touch with my soul. they include what will grow your heart”. 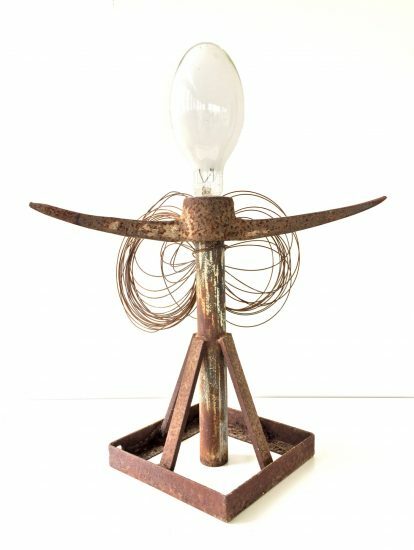 Assemblage sculpture of rusty metal objects, wire and lightbulb.